Each $57 box contains 12 packs. Each pack contains 11 cards. 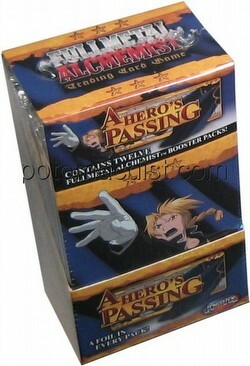 Each booster pack contains a reprint card printed on the Full Metal Alchemist chase-card template. There are 60 foil reprints total, 48 found in boosters, 3 each in 4 different starter decks. 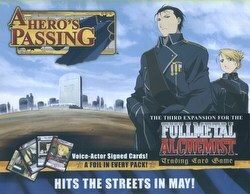 Autograph cards of voice actors are also included in this set. 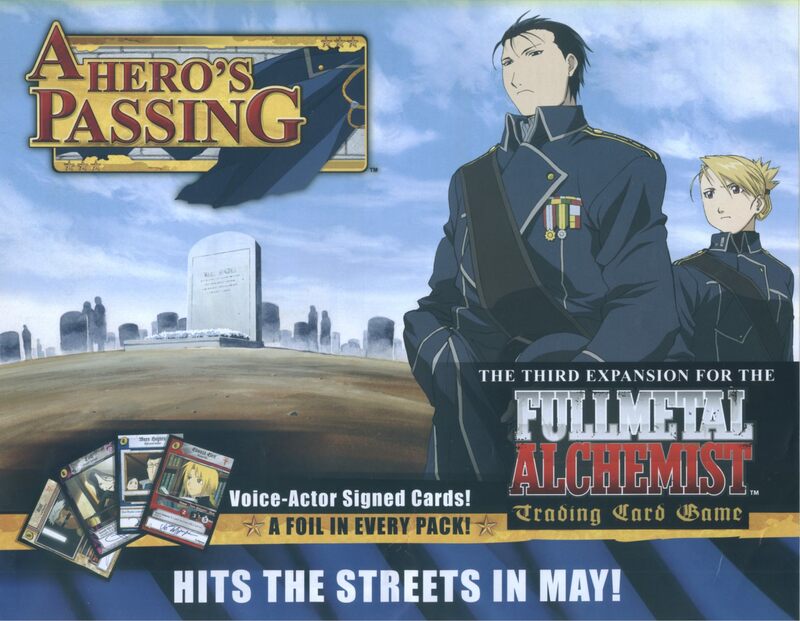 The four autograph cards available are Edward Elric, Researcher (signed by Vic Mignogna); Lust, Cloaked Stranger (Laura Bailey); Scar, Cold Hearted (Dameon Clarke); and Maes Hughes, Dedicated Soldier (Sonny Strait).